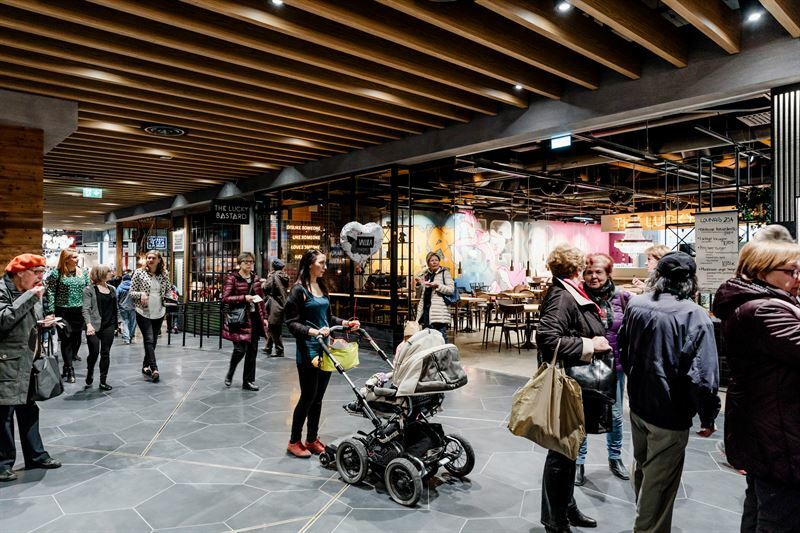 As part of its annually held competition, the International Council of Shopping Centers (ICSC) has selected Citycon’s Iso Omena, located in the Helsinki Metropolitan area, as the winner of the series for extra large shopping centre refurbishments and/or expansion projects. Other finalists in this category included M1 Adana located in Adana, Turkey, and Meadowhall located in Sheffield, UK. The ICSC’s competition has been held since 1977, and Iso Omena is the first Finnish shopping centre to win it. In addition to winning the series, Iso Omena was granted a separate ReSource award by ICSC. The grounds for the award included both Iso Omena’s and its owner Citycon’s long-term commitment to responsible and sustainable shopping centre development. The expansion project for Iso Omena was fully completed in spring 2017. Iso Omena now has over 100,000 square metres of gross leasable area, of which retail premises cover 85,000 square metres. With more than 200 different shops and services, Iso Omena is among Finland’s largest shopping centres. The shopping centre also features the busy Matinkylä metro station and a feeder transport bus terminal. Last year, Iso Omena had 20 million customers. The shopping centre’s retail premises are practically fully leased. “Iso Omena is Citycon’s largest shopping centre and the crown jewel of our portfolio. It represents our vision for a successful shopping centre concept in the 2020s. It is great that Iso Omena has been noticed and awarded by ICSC in its international competition”, says Sanna Yliniemi, Vice President, Operations Development, Citycon.